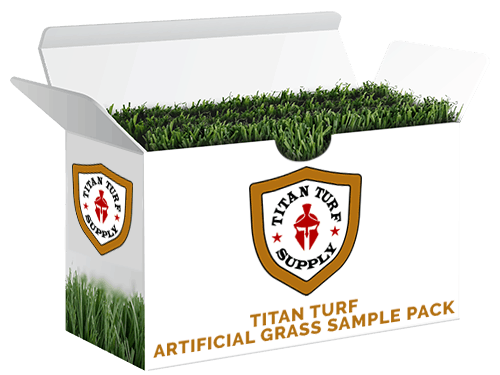 Titan Turf Supply synthetic grass is safe and non-toxic. It’s manufactured from the same material as used in disposable eating utensils and baby bottles. The materials when installed in the correct manner provide a clean installation for you and your pets. Our recommended installation method will help reduce or eliminate odors caused by bacteria, mold, & mildew. It’s not widely known or promoted often that the installation of synthetic grass is clean. To start with the turf fibers themselves are made of polypropylene the same material used to make disposable eating utensils, baby bottles, etc. Consider that natural soil and sod typically attract a variety of bugs, grubs, and mosquitos for example. Since synthetic turf uses a base material that is compacted these little creatures no longer have a habitat to dwell in. Keep in mind also that fertilizers, weed killers and associated chemicals are no longer required with synthetic grass as it is for natural sod. 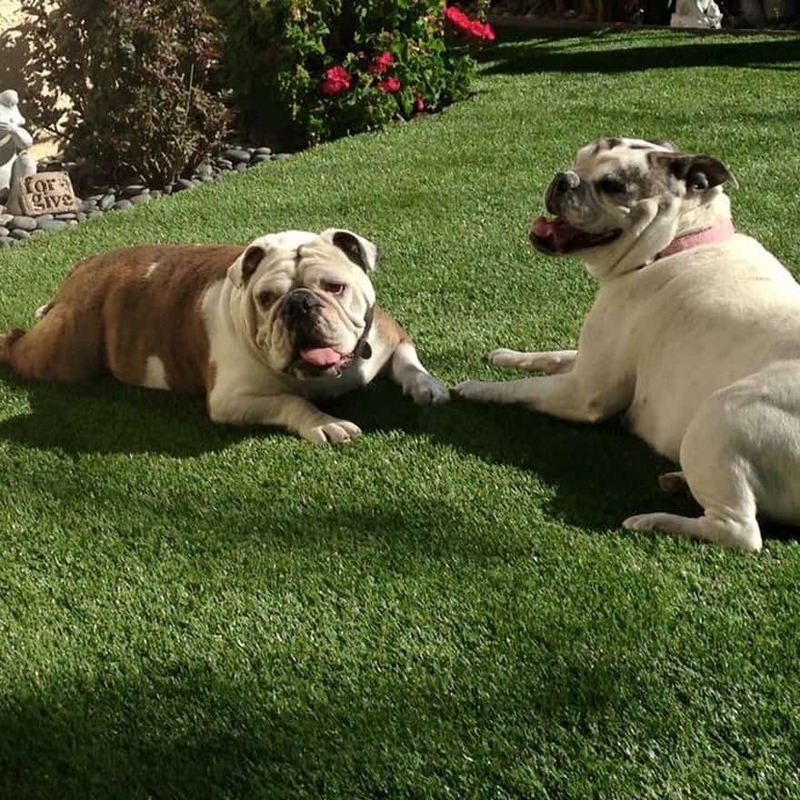 Titan Turf Supply’s synthetic grass is of the highest grade and is pet friendly. We have coated the backing on our synthetic grass product with two layers of polyurethane to give our product a strong tuft bind. Our backing is not liquid/moisture-soluble like other products made of latex, felt or nylon. Titan Turf Supply’s, turf will drain at 30 in. per yard / per hour. Titan Turf Supply, synthetic grass Is soft and realistic to the touch. It will help prevent your pets from tracking mud/dirt into your home or on your furniture. It is all clean and not known to be habitat for dogs to feed or breed in. The upkeep is minimal with an occasional rinse down of the area with water or an eco-friendly cleaner such as OdoBan® along with using a leaf blower or our “Grandi Groom” rake. Once the base has been compacted a volcanic material, similar to kitty litter, is sprinkled on top of it. We offer the “Triple Z” brand of Zeolite and it Is an odor absorbing and USDA approved. It prevents odors by capturing ammonia in the urine and not allowing it to turn into a gas. A layer of Zeolite is applied evenly a liberally to the top of the synthetic grass and in between the grass fibers. Typically, it’s applied at a rate of 1 Lb. per square foot or more. On top of the Zeolite we add another layer of infill, it’s a green coated sand called Superfill. It is coated with a zeo-antimicrobial biocide to help prevent the growth of bacteria, mold, and mildew. Superfill has been fully tested at the Duke University Laboratory. This is extremely important as it is also proposition 65 approved. Most types of synthetic grass will require at least 1 Lb per sq. ft. between the grass blades. This will help hold the synthetic grass fibers upright for use from foot traffic and pets. We do not sell “crumb rubber” as an infill because it creates heat and is under study for being a carcinogenic. 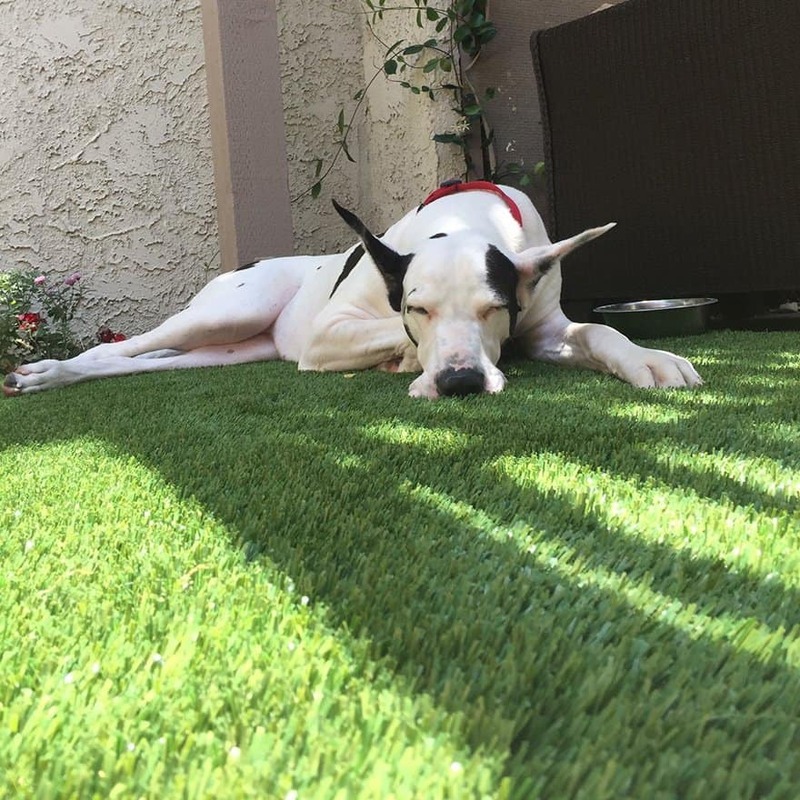 A proper installation of Titan Turf supply materials will help prevent your pets from digging. 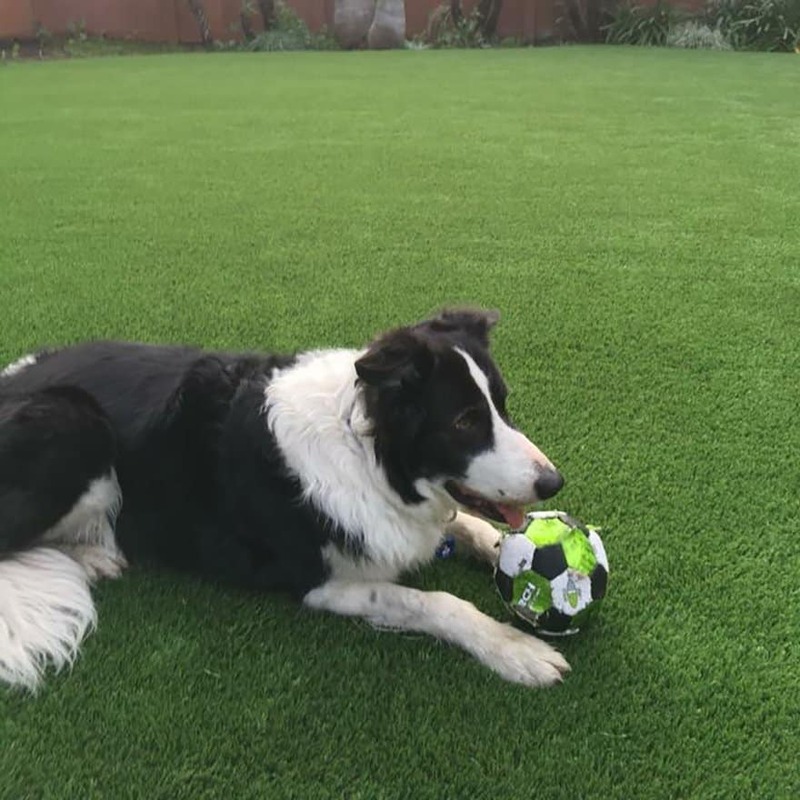 Titan Turf Supply has been the provider of synthetic grass to many animal shelters because of, product safety, durability, functionality, is widely considered the most realistic grass on the market. 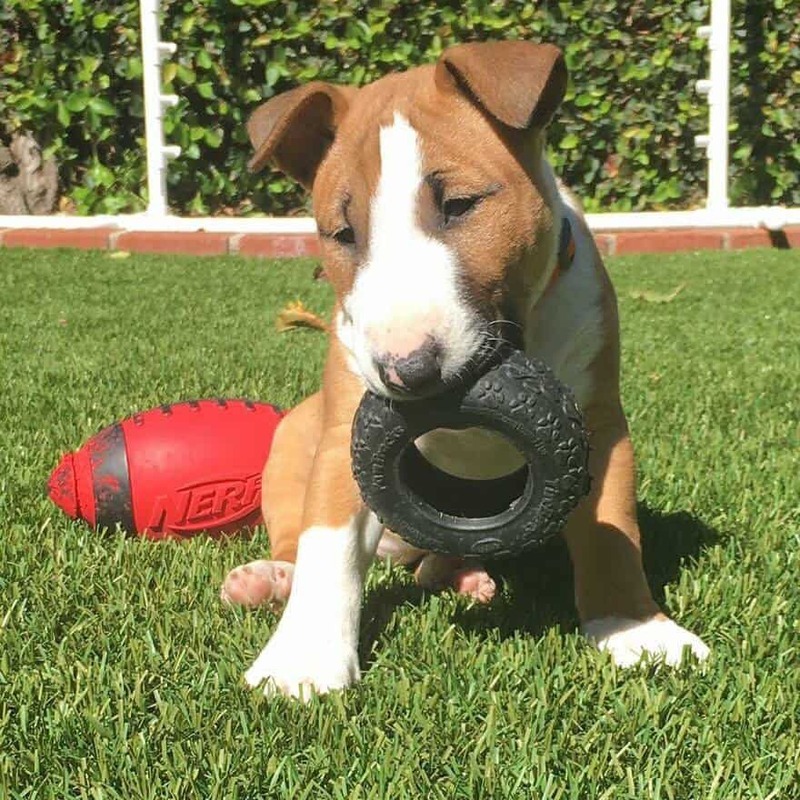 Pet Friendly Turf Installations	Overall rating:	5	out of 5 based on 24	reviews.